Welcome to the first NavCoin Community News of 2019. We hope you had a great holiday season and are keeping to your New Year’s resolutions. The Core team and wider community have certainly hit the ground running this year, with a wide range of interesting projects underway already. 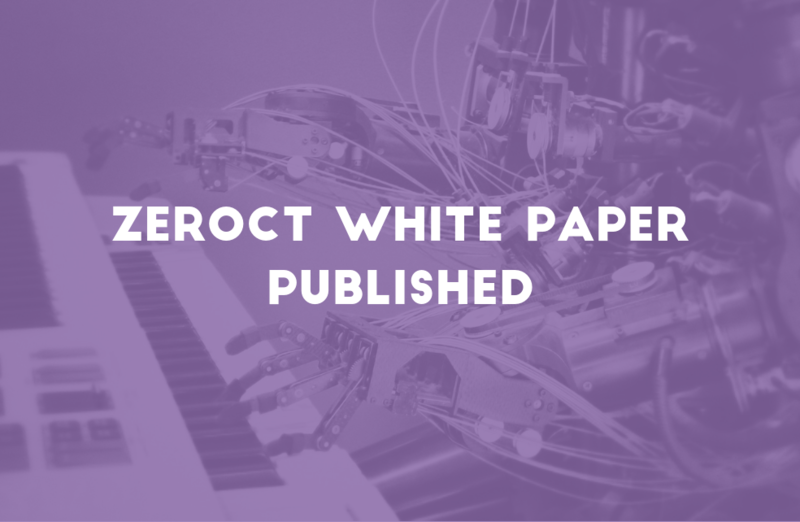 Alex started the year off in impressive style by publishing his ZeroCT White Paper. The paper details a new private transaction protocol that combines properties from Zero Coin and Confidential Transactions to offer fully anonymous on chain transactions. The paper has been peer reviewed by strong list of industry experts from various projects including Bitcoin Core, Monero and Veil. Alex will be publishing video explainers to support the White Paper and Craig is working on an article which explains how ZeroCT works in simple terms and compares it to other privacy protocols. NavCoin Community Developers are now working on the testnet implementation of ZeroCT into NavCoin. Craig and Alex will do an AMA after this article is published, where they’ll answer any other questions you might have about ZeroCT. Stay tuned for details. NavCoin Core have successfully resolved the “Fake Stake” resource exhaustion vulnerabilities as described by Andrew Miller and his team of students based out of the University of Illinois. The vulnerability was privately disclosed to NavCoin Core and other affected parties last year. The patch was released in NavCoin Core 4.5.0 and subsequently the NavCoin network is no longer vulnerable to this type of attack. Or to read the public disclosure made by Andrew Miller check out his article on Medium. A new version of NavCoin Core is being worked on by the Core Developers which we are aiming to publish within the next few weeks. The changelog for 4.5.2 is still being finalised, but some of the features which we are looking to incorporate are a new genesis block for the testnet, a patch to speed up syncing the blockchain, adding the ability to donate to the community fund from the wallet GUI and more. To have a look at the list of improvements currently under review check out the Pull Requests on the NavCoin Core GitHub repository. Don’t forget that anyone can review pull requests, any and all help is welcomed. A major overhaul of the NavHub community site is now finished and in review. Once the redesign is approved by the wider Core team it will be populated with up-to-date content and published. The update includes easier ways for community members to contribute to the site, more guides on how to get involved in the navcoin ecosystem, news, events and dynamic homepage that shows the latest content added to the site. With the successful launch of Cold Staking on the network it has been brought to our attention that some users have chosen to use NavPay for the spending address. NavPay doesn’t currently support cold staking addresses which means cold staking coins are safe, but not yet visible in NavPay. The Core Devs are currently testing a fix which would display this balance in NavPay and allow the coins to be spent as normal. We are hoping to have this published as soon as possible. The Core Devs are also looking to publish an education video on the best practices for cold staking so people understand the different options for generating your spending key and the pros and cons of each option. NavShopper is a new project which will allow people to spend NavCoin on a growing list of retailers and service providers. NavShopper sits between traditional retailers accepting fiat and NavCoin users, purchasing products on behalf of the user by managing the crypt-fiat conversion, payment and shipping. This project will unlock many more ways for people to spend NAV on existing websites/marketplaces without requiring each site to individually accept cryptocurrencies. Some of the prototypes we are working on include crediting your Uber account, buying products on Amazon and donating to charities. As part of the NavCoin Core internship programme, Hayden has been working on the NavCoffee project. NavCoffee is a livestream on Twitch where community members can donate 5 NAV to shout an espresso to one of the hardworking NavCoin Core developers. The purpose of the project is really to demonstrate how streamers can accept NAV and integrate the payments into their livestreams. It also gives everyone a real time view on how many coffees it takes to keep NavCoin Core running. 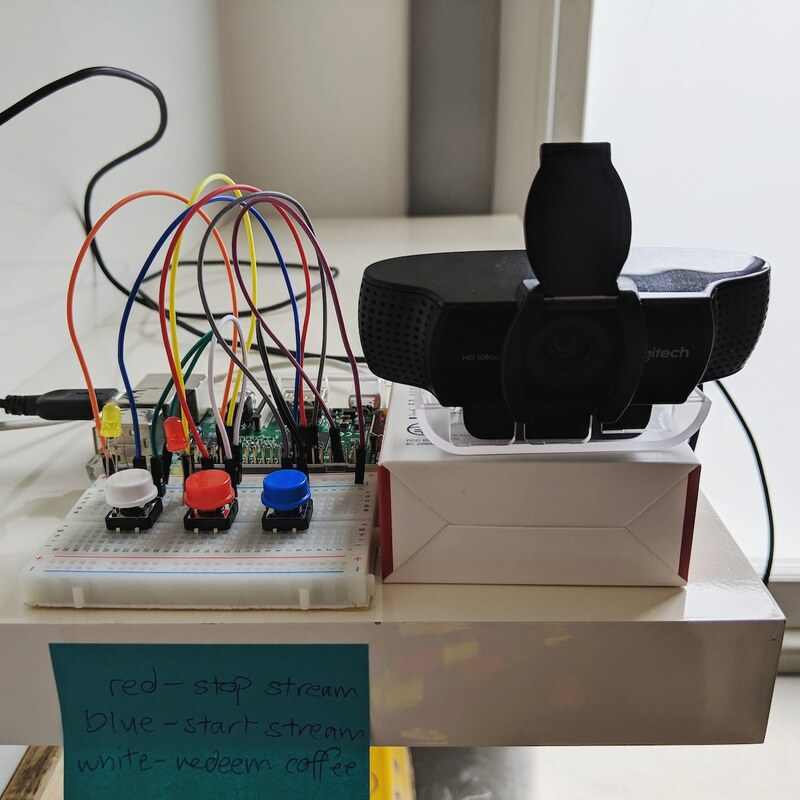 The livestream runs on a Raspberry Pi connected to a webcam pointing at our coffee machine. We’ve also added hardware buttons to redeem the coffee and LED indicators to show us if there’s any coffees waiting to be redeemed. The live stream should be broadcasting most weekdays from about 9:00am - 4:30pm NZT so make sure you check it out. If you’d like to add NavCoin donations to your livestream you can find the code on this GitHub repo or talk to Hayden in the NavCoin discord for further information.